Win a Kindle Fire 7, plus lifetime access to extra Brainstorm Your Book worksheets! I am choosing a random monthly winner from all commenters who answer brainstorming prompts from Brainstorm Your Book. Which characters will be involved in this subplot? What are the story goal(s) for each character? Stay tuned to find out who will win the Kindle Fire! 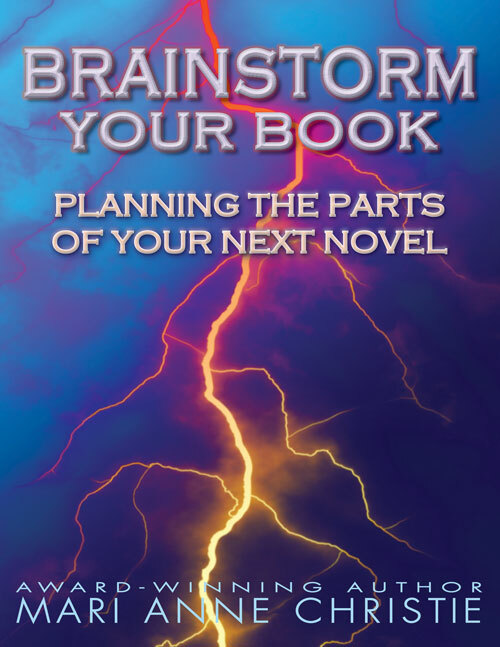 To learn more or find additional tools for brainstorming your next fiction project, check out Brainstorm Your Book: Planning the Parts of Your Next Novel. Brainstorm Your Book: Planning the Parts of Your Next Novel is a hands-on, pen-to-paper, rubber-to-road workbook to help you generate ideas for all the elements of your next fiction book—character, setting, plot, and theme—to produce a more robust first draft, and more complete later versions. Whether you are writing your first book or your fifty-first, no matter your genre or personal process, Brainstorm Your Book will spark creativity, increase productivity, and make writing your novel a whole lot more fun. In a series of questions, prompts, and exercises, Brainstorm Your Book probes your imagination, pulling small and large details from your creative mind and the world around you. The workbook will introduce you to your characters and help build solid friendships with them, show you both a bird’s-eye and closeup view of your settings, generate action to drive the plot forward, and enhance the underlying messages in your manuscript. It will walk you, step-by-step, through choices you might never have considered, act as a catalyst driving progress through the whole first draft, and increase your chances of ending with a high-quality finished novel. For more tools, tips. and tricks to improve your writing, go to Mari’s new Patreon page and sign up! This entry was posted in Brainstorm Your Book, Contest, For Indie Authors, Mari Anne Christie, Monthly winner, Patreon, Writing, Writing Prompts, Writing Tools and tagged contests, plotting by marichristie. Bookmark the permalink.